2017 marked the 85th birth anniversary of Glenn Gould, the solitary composer/pianist from Canada. 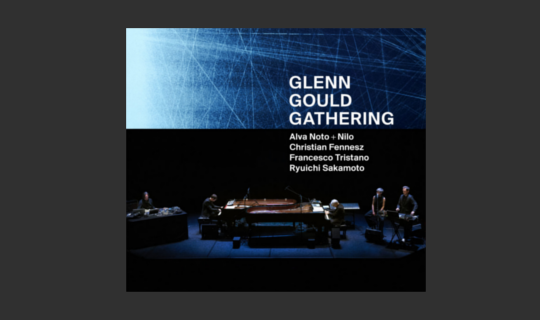 To commemorate this, an array of special exhibitions and concerts were held around the world commissioned by the Glenn Gould Foundation in Canada, among which Ryuichi Sakamoto was asked to curate an event in Japan. Sakamoto, an avid Gould admirer who had been influenced by him since early childhood and had handpicked his compositions for a compilation CD, readily agreed to the request. As a result, “Glenn Gould Gathering”, a series of exhibitions and concerts dedicated to Glenn Gould, took place with Sogetsu Hall as center stage. The event was highlighted with a tribute concert entitled “Glenn Gould – Remodels”. The concert featured musicians who have maintained close relations with Sakamoto, such as Alva Noto + Nilo, the leading figures of contemporary electronic music in Germany, and Austrian guitarist Christian Fennesz, who has spawned a new world of acoustic music, as well as pianist Francesco Tristano, an exceptional talent from Luxembourg. This live album captures the moment of a once-in-a-lifetime encounter.